Operating as a niche specialist across the part qualified, senior and executive marketplace, RattrayParkin differentiates itself from much of the competition through the experience levels and knowledge of it's consulting personnel who share a track record of around 60 years of senior-level accountancy recruitment. This background allows us to focus effectively on what our candidates and clients want - an educated, professional, value adding and hands-on recruitment approach, where we utilise our knowledge and experience to achieve the best possible results for all parties. With over 20 years recruitment experience at a senior management level, Nick has built a well-developed network of executive level stakeholders within the vertical market of Finance and Accountancy across the Midlands. Nick is committed to providing highly informed, professional and value-adding recruitment support to finance professionals across the region. Rob has almost 20 years experience in the senior recruitment space within Finance and Accountancy. 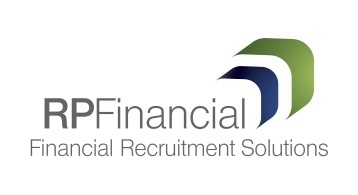 Rob has a wealth of experience in recruiting senior placements within the financial sector. He works closely with his clients to ensure he understands their business needs, and then sets about delivering suitable candidates. Brian has over 17 years experience in recruitment, spending the last 13 years in the Financial and Accountancy recruitment space, specialising in Practice. Brian has a wealth of experience in recruiting part-qualified and qualified accountancy, practice to practice, practice to industry, as well as supply chain and procurement across the Midlands. Kirith joined RP Finance earlier in 2018, following a successful career within Business Management and Human Resources Management. Kirith specialises in placing Finance professionals with salaries ranging from £30,000 to Director level, within the Nottinghamshire, Derbyshire, Staffordshire and Lincolnshire. Jack joined RP Financial in 2017 and has since developed a wealth of knowledge and expertise amongst his network. With a 1st class degree in Business and Management and previous experience in Financial Services, this has enabled him to build effective, strategic relationships. Jack places part qualified and qualified finance professionals within the Leicestershire, West Midlands, Northamptonshire, Warwickshire and Buckinghamshire areas.